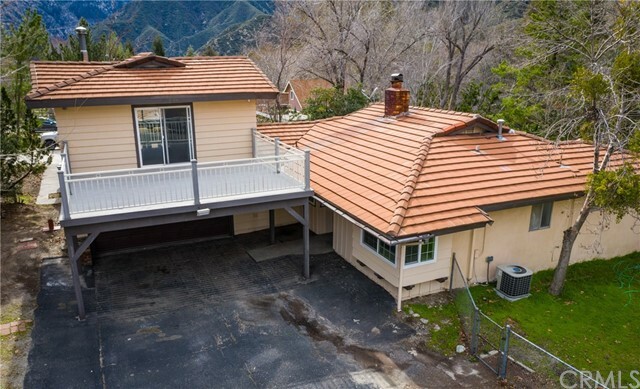 All Lytle Creek homes currently listed for sale in Lytle Creek as of 04/19/2019 are shown below. You can change the search criteria at any time by pressing the 'Change Search' button below. If you have any questions or you would like more information about any Lytle Creek homes for sale or other Lytle Creek real estate, please contact us and one of our knowledgeable Lytle Creek REALTORS® would be pleased to assist you. "***ENTERTAINERS DREAM***AWESOME LOCATION !!! 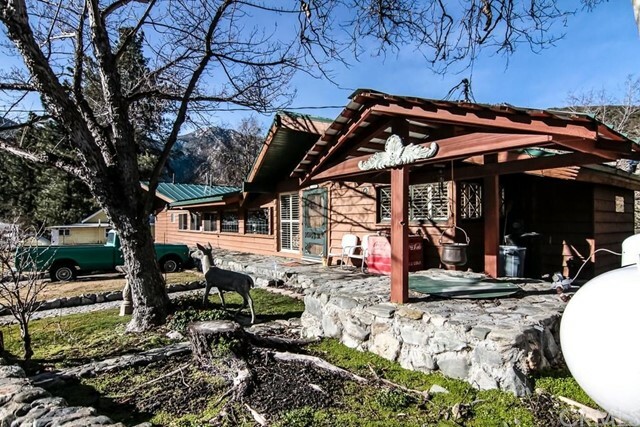 Tucked back in the private area of Call Of The Canyon Road in Lytle Creek, a must see. The home has marble and beautiful hardwood floors, corian kitchen counter tops and a metal roof. Gorgeous stain glass window's in the dining area. Three sets of French doors leading out to the backyard deck area. It is also equipped with a FULL bar room with a wood burning stove, great for gathering's and events. This home has all the amenities needed and over looking the creek. SERENITY AND PEACE OF MIND is just a few of the amazing thing's this home has to offer. You have the serenity and sound of the creek all year long. Great for gathering's, bbq on the large deck, swimming, playing and fishing in the creek. Picking wild berries in the summer. Having get together's in the winter in the bar room watching football with a cozy fire burning. Walking to the local restaurant for Sunday breakfast. The community is PRICELESS !! It is just something you feel upon entering the neighborhood and house WARM AND RIGHT AT HOME." "Enjoy the mountains creeks and the snow just only 20 minutes from town. Beautiful Home with Three bedroom and two bathrooms with nice mirrored closet doors in each Bedroom. New Stainless Steal Appliances in the Kitchen. New Corian Counter Tops with Newly Outfitted Cabinetry. Recessed Lighting, Nice Back Splash, New Dishwasher, Range Top, New Ovens and New Refrigerator. Separate Dining Room, New Tile and Carpet throughout the home. With Beautiful Architectural beamed ceilings and Oak Paneled Walls in Living Room. Fire Place in Living room with girth blower. New Ceiling Fans with Lighting nice color scheme new paint throughout. There is a nice Sun Room off of the living area. Upstairs in the home is a Loft and a nice wood burning stove. Large deck area outside of loft for those beautiful views. Take a look make it yours today!!!" "Recently Reduced $10K !!!!! Private cabin style home with unique vaulted ceiling and breathtaking view.This two story cabin home is in a quiet mountain setting at the end of a cul-de-sac.One of the few homes in Lytle Creek connected to municipal water and sewer.It features a large loft -style master bedroom retreat,private balcony,and private full master bathroom.There are two bedrooms downstairs and another full bath.It features a beautiful vaulted ceiling with gorgeous wood beams,and cozy fire[laces in an open floor plan,it has a modern kitchen with upgraded granite counter tops and custom cabinetry, glass tiled back splash. New water pressure pump and fresh painted master loft. There's a car port and tandem drive way with ample parking. The property has two established,fruit bearing cherry tree, as well as grape vines and garden spaces for more,this secluded home backs up to San Bernardino National forest land, and is close to the Lytle Creek with miles of hiking and cycling trails,and waterfalls,close to the 15 Freeway, minutes from Fontana,Rancho Cucamonga,Victiria Gardens,and plenty of shopping." "Charming and cozy home surrounded around almost 2 ac of lush forest and creek !!! !Could be a great starter or weekender. Great location and easy access for commute,enter in to the formal living and dining room,1 bed 1 bath 1008 sf,renovated year is 1950,mr.&mrs. Clean lived 32years....,Bright and airy modern kitchen with wood flooring and Quartz counter tops. Master bed room with privete bath,Specious family room with warm and inviting fire places. 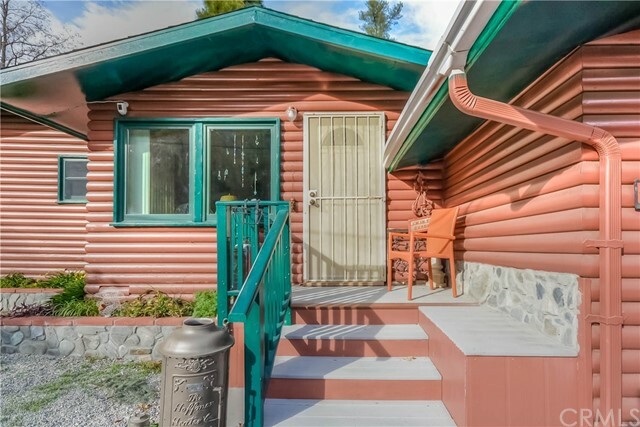 Convenient inside laundry with extra storage cabinets or use as a hobby /work station, Huge backyard area to BBQ,or just relax to enjoy this fantastic home and mountain views and creek.....Clean water all year around ..... come to see.."
"Welcome to your cabin on the creek! 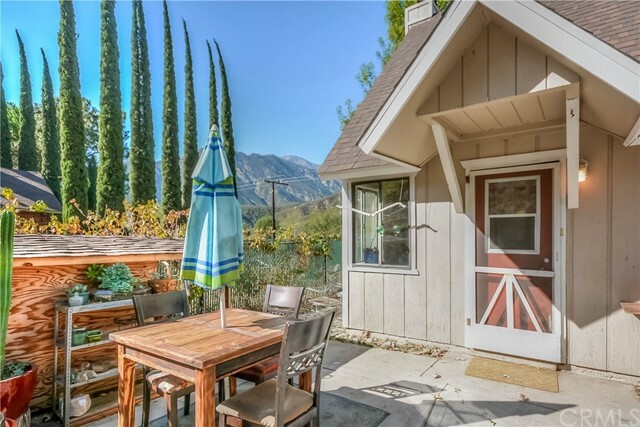 This cabin sits right alongside the age old Lytle Creek, in a quaint little community called 'Happy Jack.' This cabin features some elements from the past such as a claw foot tub, skeleton key brass door handles, a wash basin sink, and a very ornate wood burning stove. The sound of the creek is soothing and runs year round. Mature mountain trees adorn the cabin yard, and a nice open yard is perfect for cookouts, playing in the yard, and birdwatching. Wild berries grow on the vacant parcel. This cabin retreat offers a trip back to yesteryear! Enjoy the beautiful beam ceilings, and woodsy dcor of the cabin. Extra rooms include the all season room or 'Florida room.' An attached utility room has lots of storage and another tub/shower surround for washing up, or bathing the dog after a dip in the creek! This is a little cabin is sold with a vacant parcel of land (APN 0350-145-22-0000). Age of cabin is approximate. Square footage of the cabin is approximate. This is a quaint little village of homes where people walk their dogs in the evening and wave hello! Property must be purchased as a cash sale. Association Amenities: None # of RV Spaces: 0NONE Lot Location Type: Other Landscaping: Natural Special Features: None # of Attached Spaces: 0 # of Detached Spaces: 0"